Every year on Halloween it is my tradition to make a pot roast. Returning home from the day's crazed activities, we all could use a hot and hearty meal before we head out on our sugar bomb quest for the evening. This spiced apple pot roast—also known as Monster Mash because of the way it looks when it's finished cooking—is perfect for All Hallows' Eve. 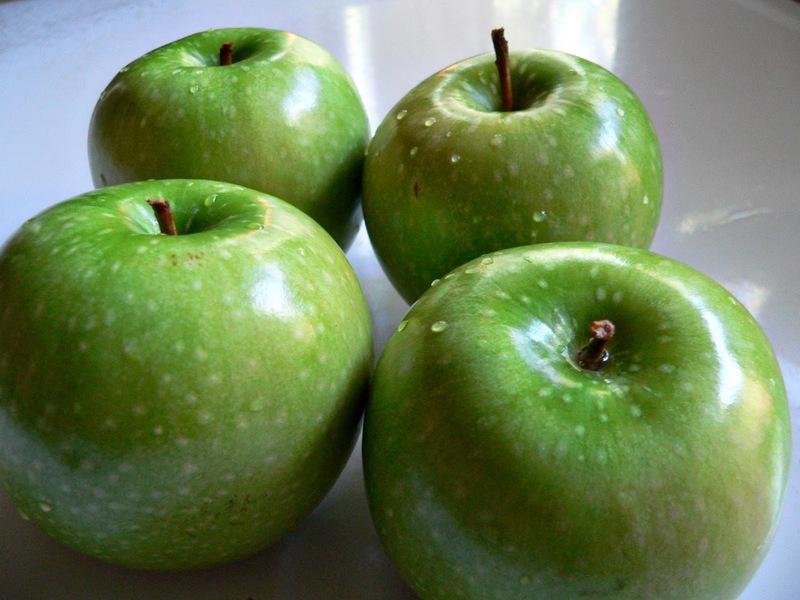 Don't be alarmed by the mushy mashy nature of the apples and spices when all is said and done. That's the nature of Monster Mash. 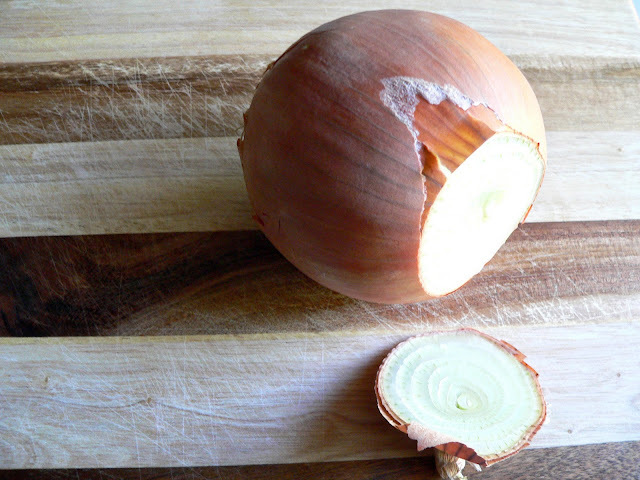 1) Put chopped onions in the bottom of a crock-pot. 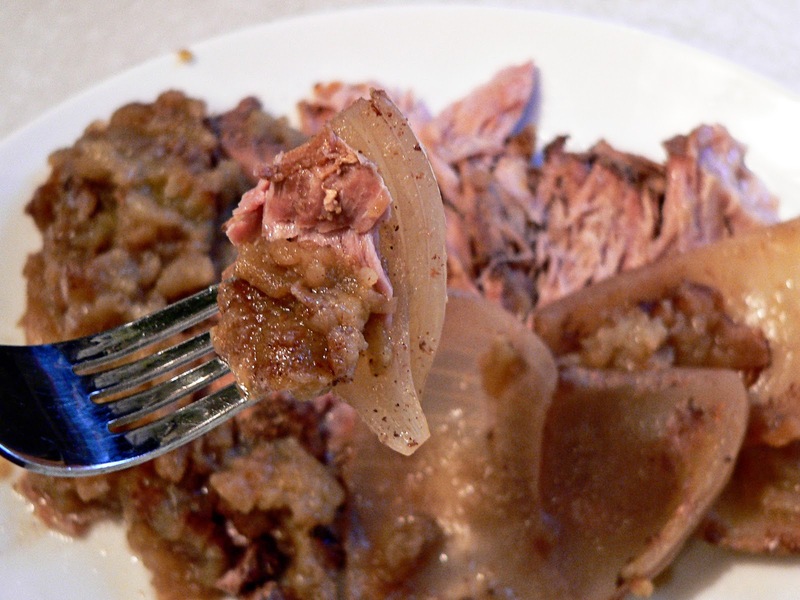 2) Place pork shoulder roast over the onions. 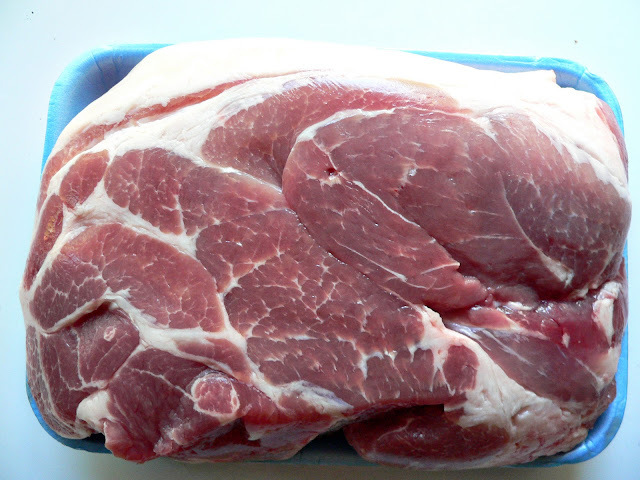 (You may choose to brown the pork shoulder first for more flavor. I omit this step because it turns my crock-pot cooking day into a stovetop cooking day, and I don't like that. 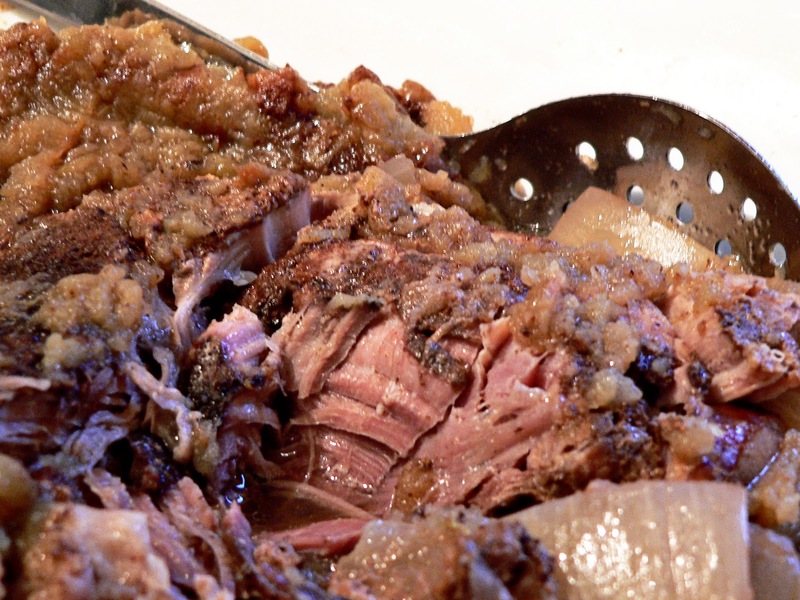 Besides, my mother-in-law makes the tastiest pot roasts on the planet and she never browns the roast. I'm attempting to follow suit.) Sprinkle roast generously with salt and pepper. 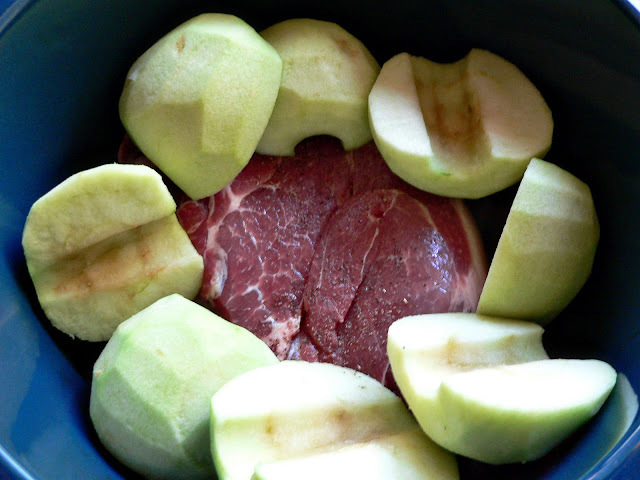 3) Sit half apples on top of the meat. 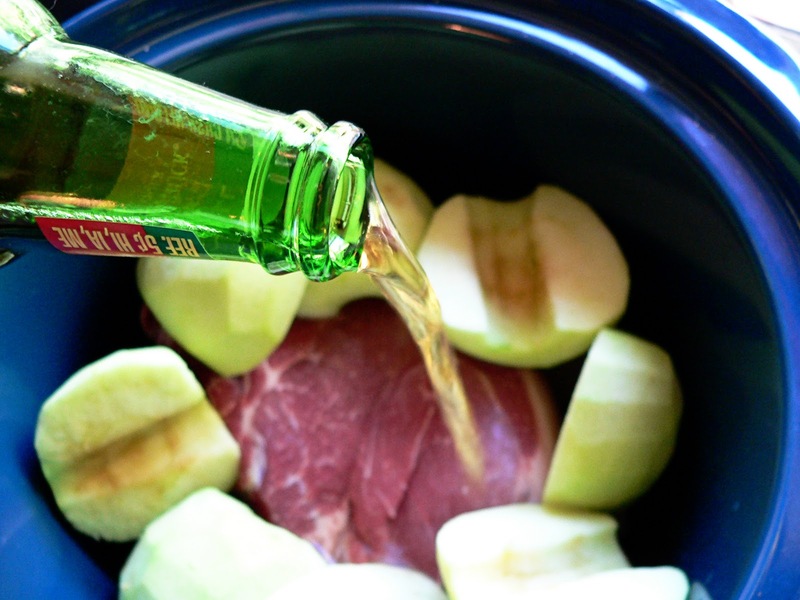 4) Pour hard cider over meat. 5) Mix together sugar, cloves, cinnamon and nutmeg. 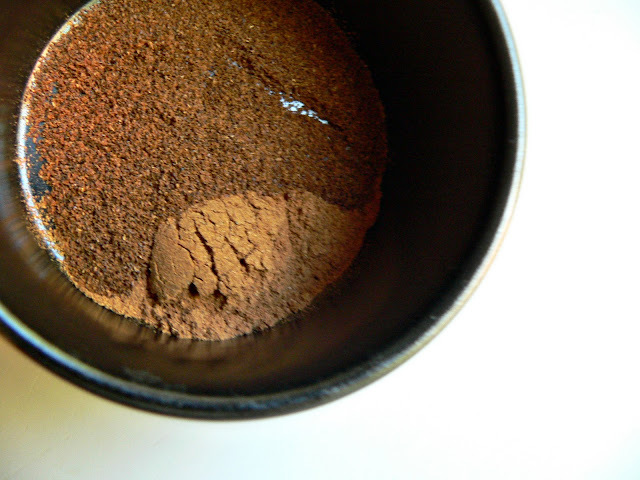 Sprinkle everything with sugar/spice mixture. 6) Set crock-pot on low heat and cook for 6-8 hours. 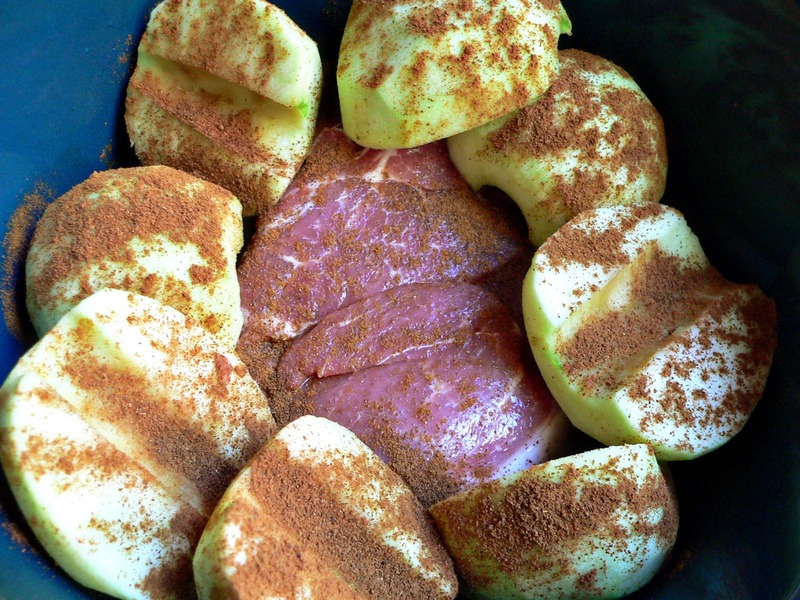 7) When done, the apples will have turned to spiced apple sauce and the meat will fall apart with the touch of a fork. Well marbled pork shoulder roast. Choose any one of the yummy hard ciders in the fall line by Woodchuck. I used the "Fall" brew for this recipe. I can't get enough of onions soaked in the juices of an all-day pot roast. Therefore, I choose the largest onion I can find. Mix these fall spices together for the topping. 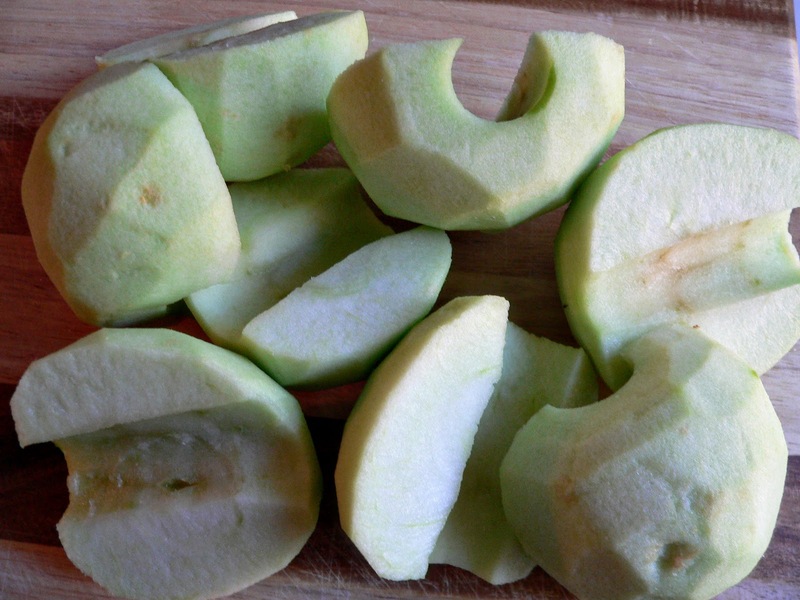 Peel, core and halve the apples. 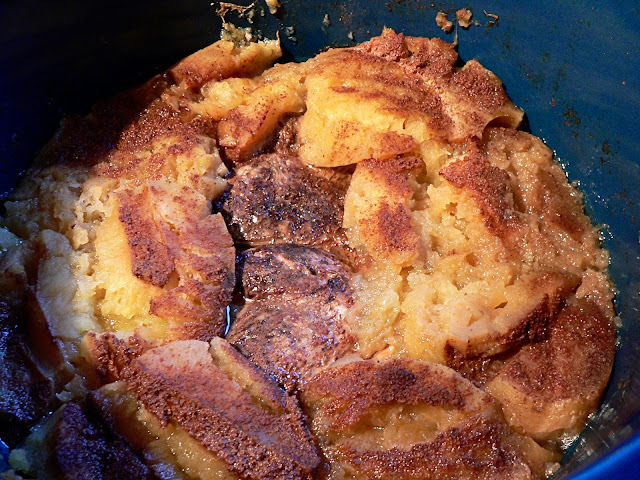 I used Granny Smith, but am very curious how my favorite Honeycrisps would do in this recipe. 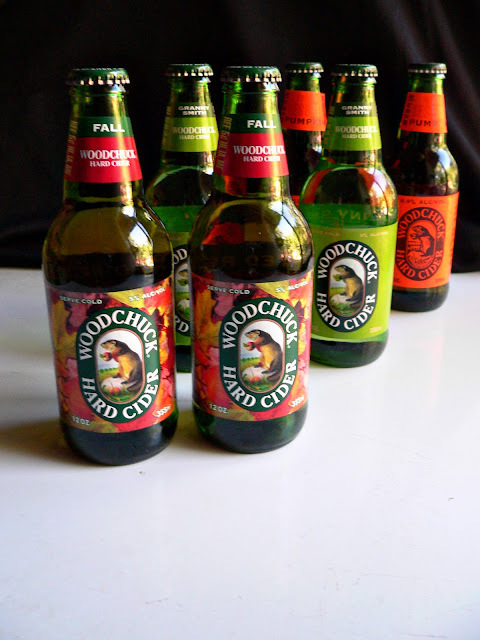 Pour the hard cider in. 6-8 hours on the low setting in the crock-pot. Done. Talk about the "Easy Button". This dinner should fall apart at a touch. And there you have it. The Monster Mash for All Hallows' Eve. Enjoy, and have a safe and spooky holiday! And now... a slightly spooky and very kooky video for 1962's Monster Mash by Bobby Pickett. All of this look are delicious. How can I order and pack in the Best foot jar ? Top with a swirl of whipped cream and garnish with a sliced strawberry and a peanut butter cookie.